The EU approval of glyphosate, the main ingredient of the herbicide Roundup, is based on bad science and a “don’t look, don’t see” attitude on the part of regulators, according to a new peer-reviewed study. The study, published in the Journal of Environmental and Analytical Toxicology, reveals that industry studies on glyphosate dating back as far as the 1980s, including some by Monsanto, showed that the chemical caused birth defects in lab animals. But German government authorities tasked with reporting on the industry studies to the EU Commission and member states played down the findings, giving a false impression of glyphosate’s safety. The EU approved glyphosate in 2002. Said Claire Robinson, research director at the science policy platform Earth Open Source and a co-author of the study: “The German authorities introduced irrelevant data to ‘disappear’ significant findings of birth defects and even went so far as to redefine a birth defect as a ‘developmental variation’. The new study’s findings back those of a separate study published in September by a team led by Professor Gilles-Eric Seralini. Seralini found increased incidence of tumours, mortality, and organ damage in rats fed with low levels of Roundup and a GM maize genetically engineered to tolerate the herbicide. The levels of Roundup that were toxic were well below levels permitted in drinking water and feed. The new study is the first peer-reviewed research to analyze the validity of the regulatory approval of glyphosate. The authors of the study have not seen the industry studies, which are kept secret under commercial confidentiality rules. However, they were able to examine the German authorities’ report on them as a result of an access to information request to the German government. While the new study confines itself to birth defects, the German authorities’ report shows that the industry studies also revealed a carcinogenic effect from glyphosate. Germany dismissed this effect on the grounds that it does not follow a linear dose-response pattern: the effect does not increase in a straight line upwards as the dose increases. Claire Robinson said the German authorities’ dismissal of the carcinogenicity data was scientifically unjustifiable: “Seralini’s study shows that Roundup causes toxic effects in a nonlinear pattern. This is a known feature of chemicals that affect hormones. Its true public has to reduce the chemical use by themselves keeping the peace alive and I appreciate green farming and organic farming and sustainable farming and environment friendly farming campaigns. 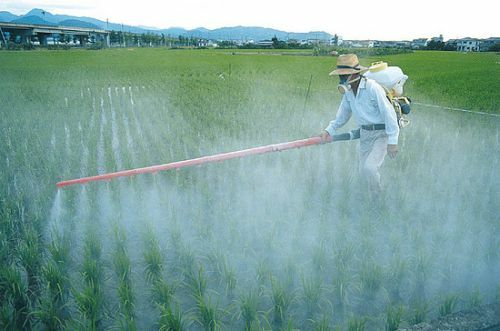 All these ethics were working before the introduction of generic pesticides.